Series: followed by The Book of Ti’ana (a prequel) and The Book of D’ni based on the mythology of the Myst computer games. Published: 1995 by Cyan, Inc.
Reason for Beginning: First, I vaguely remembered a good friend recommending it to me years ago. Second, I found it at a library book sale. Third, the jacket is really cool! Reason for Finishing: Fast-paced story with lots of really fascinating and pretty original ideas. The sense of discovery was palpable—I genuinely could not predict how the story would play out, and that excited me. Also, the characters, while few, are pretty mature and multifaceted. Story Re-readability: Even after knowing the end, I think it would be interesting to read the book again, to catch more details that may have slipped by the first time. Stylistically, the fast pace and pleasing narrative style should make rereading easy. Author Re-readability: Hard to say how much of this book is David Wingrove’s and how much is the work of the Millers, but I’m certainly going to check out the Books of Ti’ana and D’ni when I get a chance. 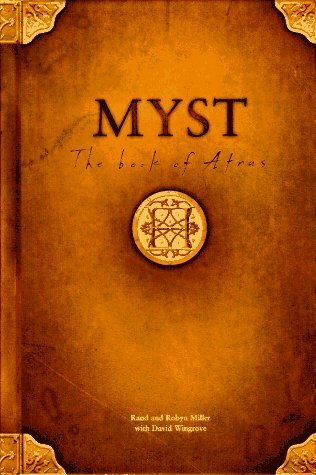 Going into Myst: The book of Atrus, I knew nothing of its premise or its mythology. I even overlooked the synopsis (copied above) on the back cover. As a result, I had the joy of discovering its world and story wholly through page-by-page exploration, my mind alert for telling details and glimpses into its makeup. And, fortunately, while the book was certainly written with the games’ fans in mind, the Millers and Wingrove also constructed it so that the uninitiated will not have undue trouble. Atrus’ situation at the start is outwardly simple and settled—meaning the reader does not have untangle a web of happenings by jumping in media res—and the fact that he knows very little about his history and the D’ni means that, for the most part, we are learning alongside him. The boy Atrus’ mother died giving him birth and his father subsequently abandoned him in anger and emotional pain. His grandmother, Anna, raises him in a cleft in the side of a volcano, in the middle of a vast desert, where water gathers in a pool and allows them to grow enough food to survive in terrace gardens filled with fertile volcanic soil. They are periodically visited by traders from afar and with their surplus buy certain tools, foodstuffs, and few luxuries—enough to forge a comfortable existence. We gather this information by watching events, by listening to brief conversations, and by being patient. How they started their life in the Cleft, we do not know, but we note the interesting fact that both Anna and Atrus always wear special goggles whose lenses can be adjusted for opacity—like sunglasses of varying strengths—or to magnify images like a telescope or microscope. Nor do we know anything about the world beyond the desert, but that there is a market for the paintings Anna produces from the plant dyes she grows. The story proper begins when Gehn, Atrus’ father, returns to take charge of him. Gehn is a hard and bitter man, blaming his mother Anna for many unsaid things, and he intends to undo the “harm” that her upbringing of love, thoughtfulness, and patience has supposedly done to his son. In the past years, he has been studying the ruins of D’ni—their ancestral underground home, utterly destroyed thirty years ago—in order to master the magic Art of Writing that had enabled the D’ni to rule an empire of thousands of self-created worlds for sixty thousand years, all from their subterranean city. Gehn says their people were worshiped as gods, and rightly so, for they can create worlds and life from nothing but words and the powers of their imaginations! The Art of D’ni Writing, called “the art of precise description,” is beautifully literal: when a D’ni writer describes a world, that world comes into existence, and is called an Age. A special paper and special ink are required, as is the special D’ni language in which to write, but still, what is written becomes real. If the writer describes well—that is, precisely, accurately, with detailed knowledge of the elements, physics, wind patterns, tectonic movements, etcetera, and with perfect attention to cause and effect—the Age that comes into being will be stable and fertile, filled with a self-sustaining environment and possibly peopled with whole cities and kingdoms that regard him as a god. But if he writes not well, if he makes mistakes, writes contradictions, if his writing does not have internal consistency, then his Age becomes unstable and eventually collapses into nonexistence. If any changes are made to the Book that describes an Age, those changes will become manifest in the Age itself—for better or for worse! This part of the story, as you can imagine, holds the greatest interest for me. So much so that my thoughts on the matter grew so long that they better fit in a separate post, which you should be able to read shortly. The conflict comes from the polar opposite personalities of father and son. I like characters like Atrus, who is a quiet, intelligent, and sensitive boy. His mind is scientific and romantic, and he works carefully on problems so as not to make mistakes, and with the intent of trying to understand the basic principles which the world runs on. He wants to Write new Ages because of the beauty of the process and of how it may help him better understand his own world. His father, however, is ambitious and impatient. It is telling that of Gehn’s dozens of Ages, all are unstable and falling apart, while it is heavily implied that Atrus’ first attempt—on which he poured more time and thought than Gehn ever put on his—is perfectly stable. Even more jarring tensions arise when Atrus begins to question his father’s theories that all the Ages they write are created originally, ex nihilo, by their words. 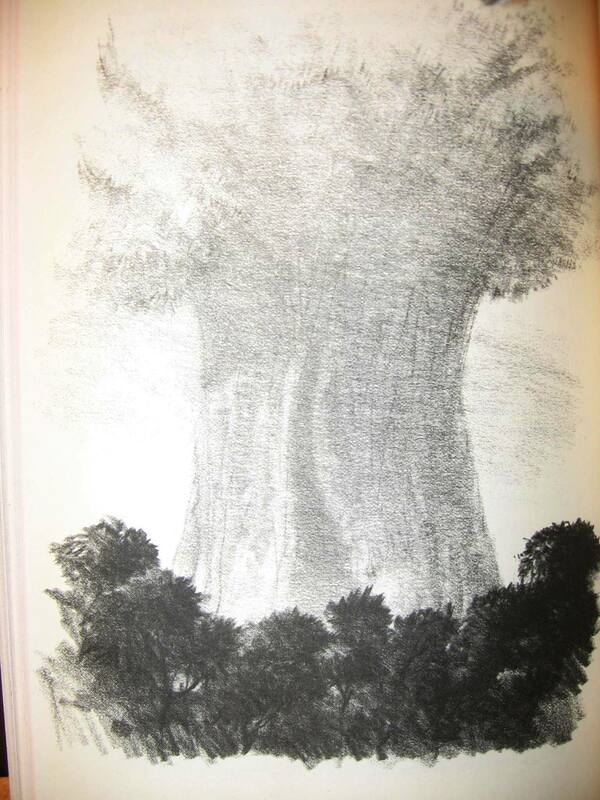 What if, Atrus wonders, all these worlds already exist, and we are simply able to link to them when we write? His father will tolerate no such thoughts, for, among other things, they would require a moral change in his behavior. And yet Gehn is not a thoroughly despicable person, not fully fallen. His joy at the beauty and complexity of the Art is genuine and not based on thoughts of selfish gain, and I believe he does truly admire his son. He is trying to do what he thinks is right, but he is stubborn, unwilling to consider the moral consequences of his actions, and possessed of the belief of his inherent superiority to pretty much everyone else. The story takes its time to develop, but there is always something interesting to discover just around the corner, sort of like intellectual cliffhangers. I like the overall clarity and smoothness of the prose; it moves quickly but still has time for detailed observations along the way. Descriptions paint strong and often beautiful images without being too flowery. There’s nothing outstanding in the prose, but generally serves the story nicely. The book of Atrus is held back not by what is on the page, but by what is left off; certain story developments are terribly rushed and need more time and depth to have the weight they should. Most egregious are the ending chapters concerning Age Five and the character of Katran, both of whom are extremely important but receive the bare minimum of page time. 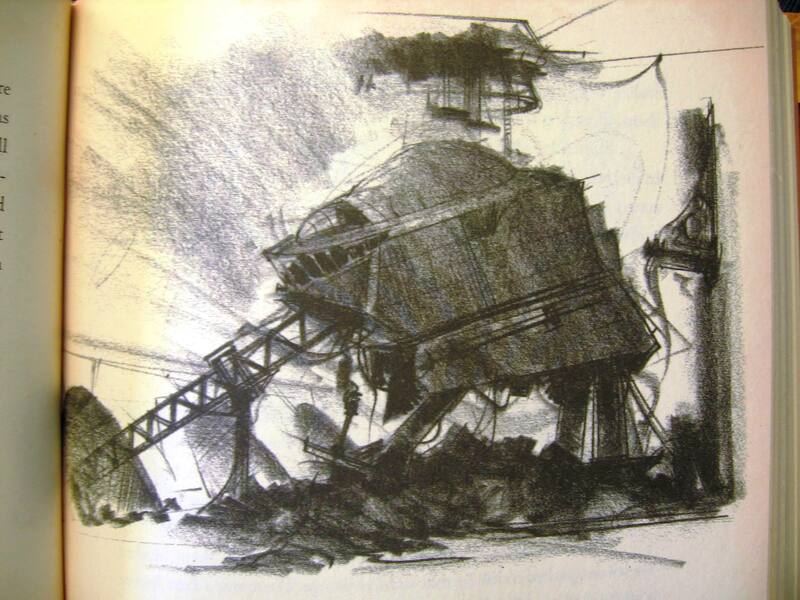 Atrus’ relationships with this place and person are crucial to his whole development into an adult and to the climax and themes of the plot, and yet they remain sorely underdeveloped. And ironically, the prose, while mostly very nice, often lacks quite the precision we need to form the needed mental image. 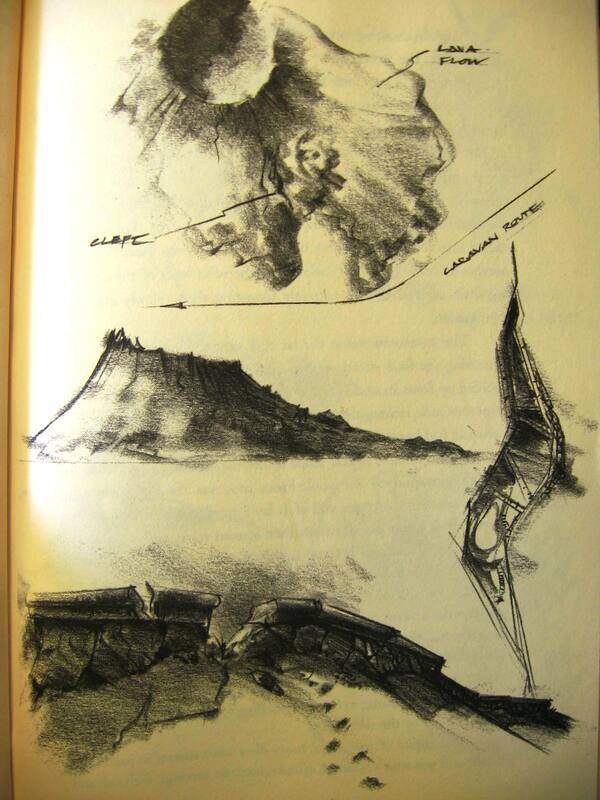 The neat sketches scattered throughout the book help to correct the most confusing ones, but it wasn’t until I looked at the MYSTlore Wiki that I really understood what the cleftwall was, despite it being mentioned repeatedly in the early chapters. This is jarring mostly because the rest of the prose mentions very apt details, and the whole concept of D’ni writing is centered around writing precisely and accurately. But the story, ultimately, is very neat. I would like more of my questions answered, especially pertaining to the origins and nature of the Art, but there are two other books and a few games in which the concept is still to be explored. Even the climax itself is satisfying, but that it was rushed so badly. Everything that is present in the story, I like a lot—it just needs further development. 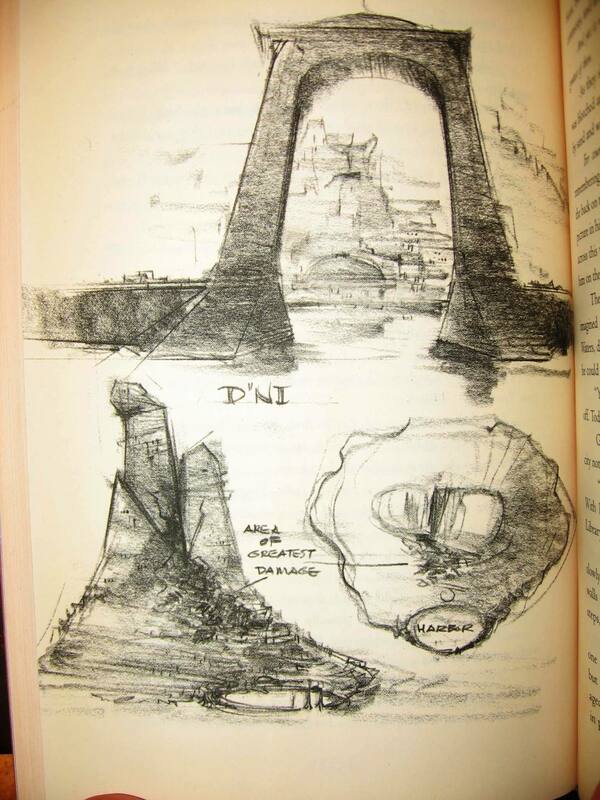 Myst: The book of Atrus is not as extraordinary as I had hoped, but it is still beautiful, inspiring, and satisfying.